Depending on the season, camp activities may include river rafting, high ropes, water skiing or snow skiing, and snow boarding. All activities are modified as necessary to meet the ability and interest level of each camper. Other activities (which can include bowling, crafts, games, swimming, horseback riding, biking, and winter tubing) may be less physically stressful, yet provide many campers an experience that was previously untried, unobtainable, or unimaginable. Adult volunteers, with and without amputations, are role-models of adults who are living productive and fulfilled lives. 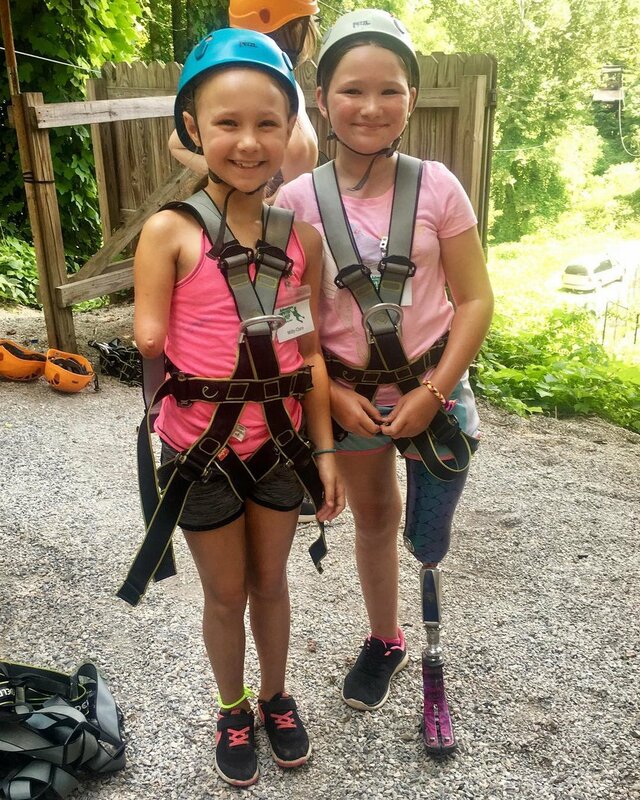 The Adventure Amputee Camp provides children with amputations or limb differences the opportunity to nurture the beliefs and behaviors that many things are possible.